CW Mill Equipment Co. manufactures MONSTER Grinders for Waste Reduction, Recycling, Land Clearing, Construction Demolition, Tire Processing, and other Tough Grinding Applications. 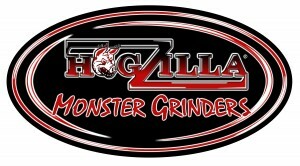 CW Mill has been manufacturing top quality electric and diesel powered grinders for over 40 years, and CW’s HogZilla brand provides the best diesel and electric powered grinder in the industry. CW now manufactures fourteen standard HogZilla models ranging from mid-sized to MASSIVE including self-propelled track driven and self-loading units. In addition to HogZillas amazing standard features, we always help our customers make sure that their HogZilla is built to meet and exceed their own special needs.